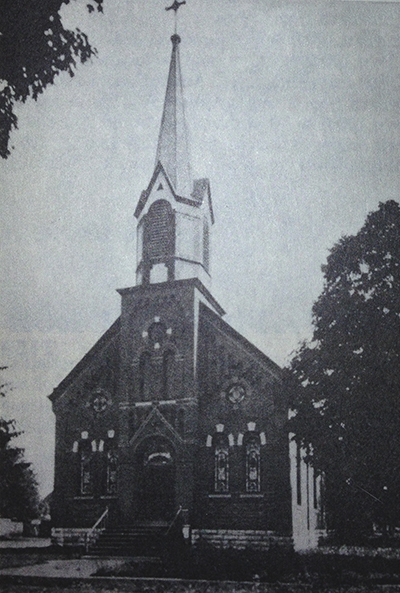 Sacred Heart Church dedicated in October 26, 1887. Bult at a cost of $10,000. Located on the block known as "College Square", which was donated by Jacob Brush, a methodist. The church burned in January 1928. Services were held in the Osage theater until December 1928 when Holy Mass was celebrated in the basement of the new church on Christmas Day. To the left is a photo of the original church, and below are photos of the church today. Copyright © St. Isidore Cluster, All Rights Reserved.